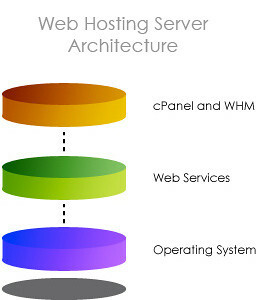 cPanel and WebHost Manager (WHM) combine to form a fully featured web hosting control panel system. 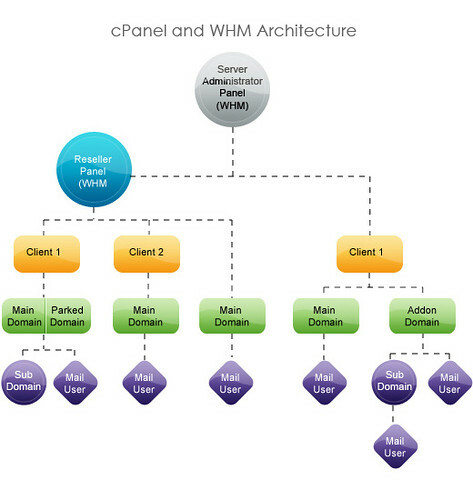 cPanel and WHM allow you to provide an interface for both your customers and your staff. WebHost Manager (WHM) [Server Administrator Login]: From WHM, you can provision accounts, tweak security settings, install addon software, and much much more. This interface provides access to the heart of the cPanel and WHM package and allows a Server Administrator to simply configure a few options and be on their way to hosting web sites. WebHost Manager (WHM) [Reseller Login]: Resellers also get limited (configurable) access to WHM to create new domain owner accounts, backup accounts, and access to many other tools as determined by the Server Administrator. cPanel [Domain Owner Login]: Within cPanel, a domain owner has all the tools they need to create an impressive web presence. They can add mail accounts, access their files, use website builders, add a blog to their site, and a whole lot more. With cPanel, your web hosting clients have access to a huge variety of hosting features that can put your hosting business, and their web site, on the map! Mail [Mail User Login]: Every person who has a mail account on a cPanel domain has access to webmail, spam filtering, message filter, and many more settings so they can get a great mail experience.